Toot toot! Hold tight! 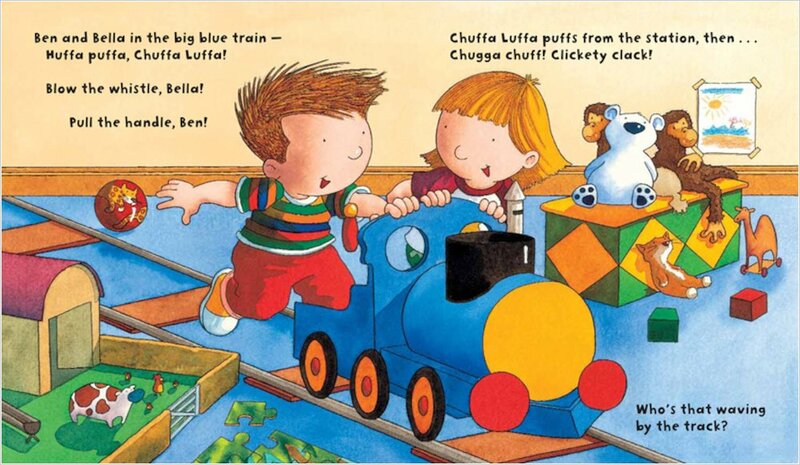 Ben and Bella are riding the Big Blue Train. 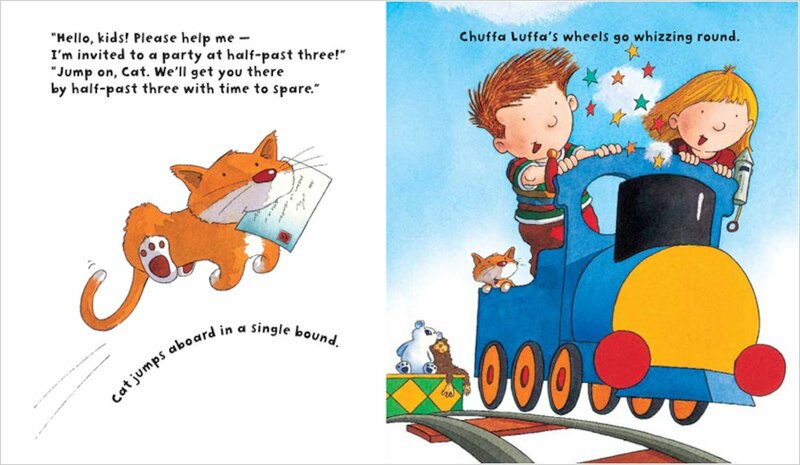 They’re off on a seaside adventure – and lots of animal friends are jumping aboard on the way! 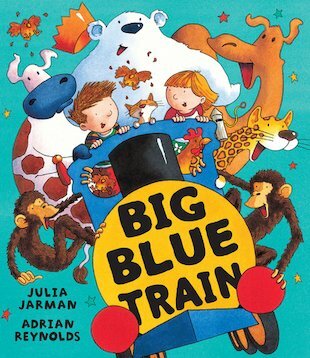 Full of squashes, squeezes and sunny outdoor surprises, this exciting picture book is a real delight. 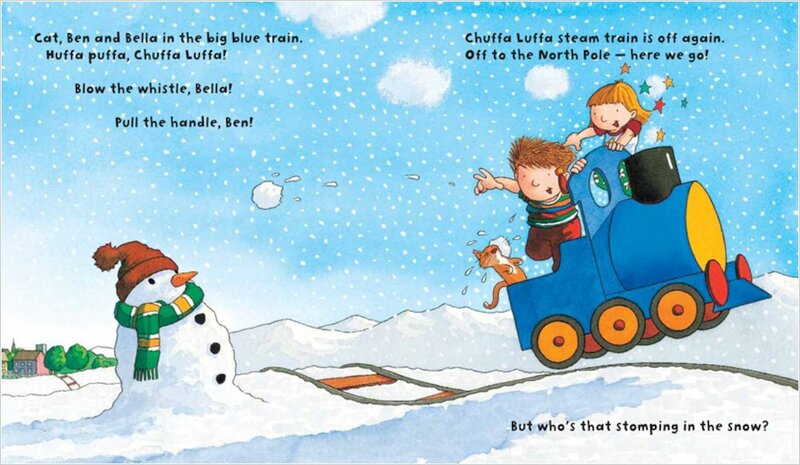 With heaps of train sounds to huff, chuff, whistle and act along to, there’s no sitting still when you read it!